The Board of Education discussed elementary school class size June 13, 2017 in Fairfield, Conn.
FAIRFIELD — The search for a new Fairfield Superintendent of schools is underway. The first part of the search, conducted by Hazard, Young and Attea & Associates, is an online survey meant to “identify key characteristics the public finds important in a new superintendent for Fairfield,” according to the Board of Education. The survey was announced April 1 and promoted via a Board of Education Facebook page and the Fairfield Warde High School PTA Facebook group. They survey, according to the education board, will be active until April 15. “As previously announced, Fairfield Public Schools, Dr. Toni Jones, will be leaving our district on June 30, 2019. 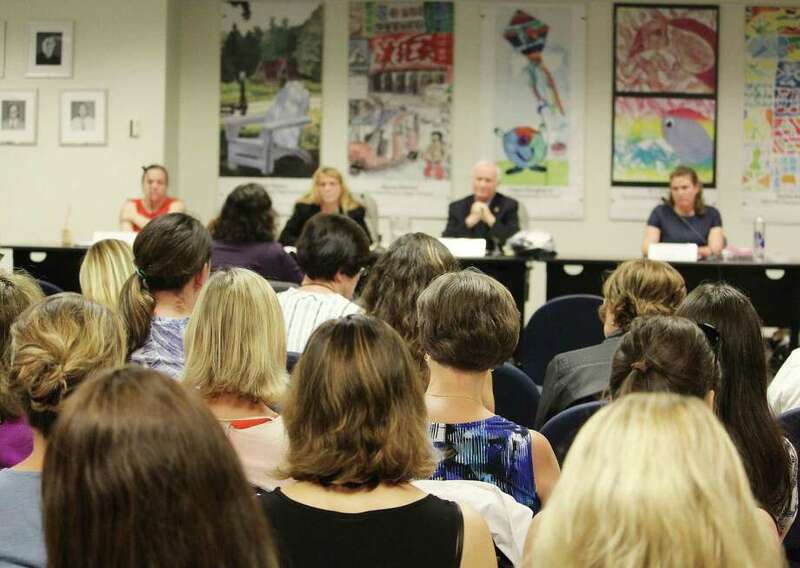 The Fairfield Board of Education has selected the firm of Hazard, Young and Attea and Associates to assist in the hiring of a new superintendent,” the Board of Education said. The social media post said there will be two focus group meetings for parents and Fairfield residents: April 10 from 12:30 p.m. to 1:30 p.m. and April 11 from 6:30 p.m. to 7:30 p.m. These focus group meetings will be held at the Board of Education conference room at 501 Kings Highway E.
The BOE hired the education consultants back in March for a $22,500 fee. Hazard, Young and Attea & Associates is no stranger to Fairfield — this same company assisted in the hiring of the current superintendent in 2016. According to BOE member Jessica Gerber, finalist interviews are expected to be completed by the end of June.